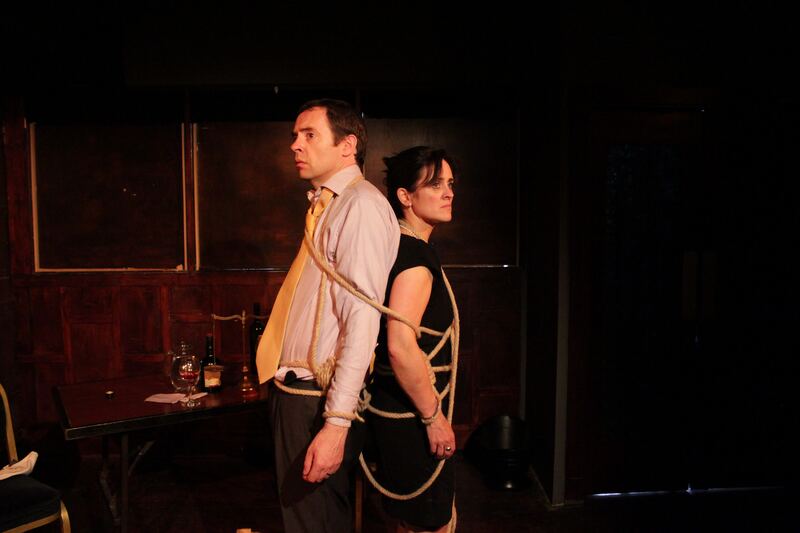 After uploading the thank you video yesterday, figured it was time to finally get around to uploading the script for my most recent play, “Irreconcilable Differences”, which was performed at this year’s Edinburgh Fringe. It was a fantastic experience – and I’ll write a more coherent guide to doing an Edinburgh show sometimes soon – but in the meantime thought it would be of interest. You can read the script here, or hear more about it below. You can also visit our company Refractive Lens Theatre to read about the cast, crew, and any other productions we have coming up. Twenty years is a long time to be together. But one hour can be significantly longer. After a seemingly endless marriage of fighting, cheating, lies, threats and walk-outs (and some good, no doubt), Polly Mackenzie and Benjamin Fenner find themselves floating face-up in a river. Their car is wrecked, their bodies are broken, and the odds are even that one of them will die. Only Polly and Ben aren’t there – Polly and Ben are here. On this stage, in front of these people, and they have one hour to convince them which of these broken bodies should survive. 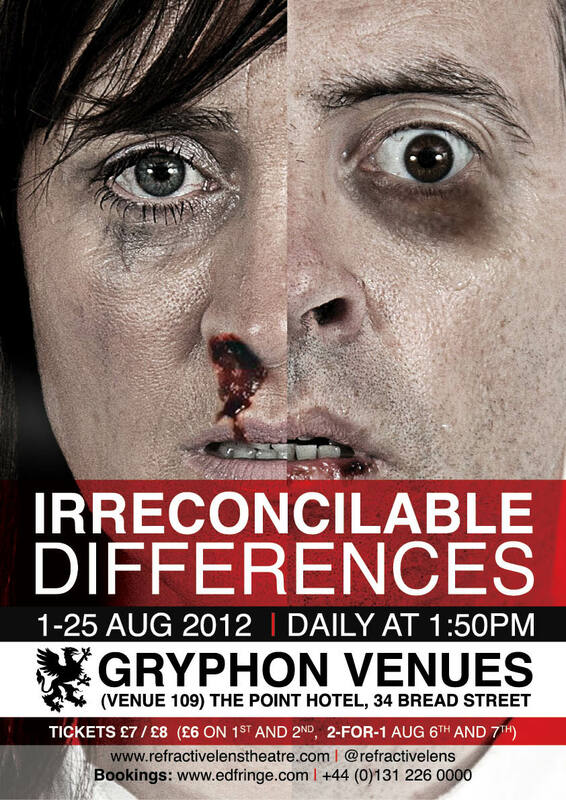 Irreconcilable Differences is a play about the distances two people can go together, and the greater distances they can grow apart. As Polly and Ben use sleight after betrayal to convince the audience to vote their way, they are forced to pick apart the reasons why they fell in love in the first place, why their marriage strayed so far off course, and the greatest mystery of all – just why they were in that car in the first place. This entry was posted in Edinburgh Fringe, Full Scripts, How I Write, My Writing, Research, Theatre Scripts and tagged alan flanagan, alan keegan, awards, IDGTF, irreconcilable differences, killian sheridan, laura kelly, parallelevision, parallelovision, pauric carroll, playwright, playwriting, screenwriter, spec scripts, television writing, theatre, tips for writers, writing tips. Bookmark the permalink.